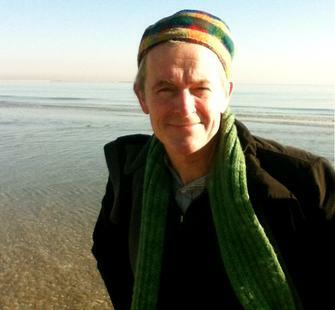 Simon Pettet is an English-born poet and long-time resident of New York's Lower East Side. Hearth, his Collected Poems, appeared in 2010 and As A Bee (a welcome addenda to the Collected Poems) appeared recently from Talisman. Talisman also issued his Selected Poems (1995) and the volume More Winnowed Fragments (2006). He also compiled and edited the Selected Art Writings (Black Sparrow, 1998) of the "New York School" poet James Schuyler, as well as co-editing (with James Meetze) Other Flowers (FSG, 2010), Schuyler's posthumous poems. He made two now legendary collaborations with photographer-filmmaker Rudy Burckhardt - Conversations about Everything (Vehicle, 1987) and Talking Pictures (Zoland, 1994), as well as a fine-arts limited edition, Abundant Treasures (Granary Books, 2001) with painter Duncan Hannah. "..American and British poetry's most meticulous craftsperson. We dig the purity, dogged love, and artistic devotion of this rare personage…A highly recommended volume," wrote poet Alice Notley (speaking of Hearth). and Gerrit Lansing writes: "In these mostly unabashedly lyrical poems Simon Pettet flaunts his proud independence of current poetic fashions, like a dragon-fly shimmering and hovering.? "His poetry is always insightful, ardent, playful, right on the spot, and ahead of the current," notes Joanne Kyger (on the back of his most recent book, As A Bee, sections of which were written at a residency at the Lucas Artists Program at Montalvo).